For the sixth time we arranged our event DAM Day. This time Stockholm was the place for the event and the venue was Convendum. As always, we set out to arrange an inspirational event for everyone interested in learning more about QBank and Digital Asset Management. 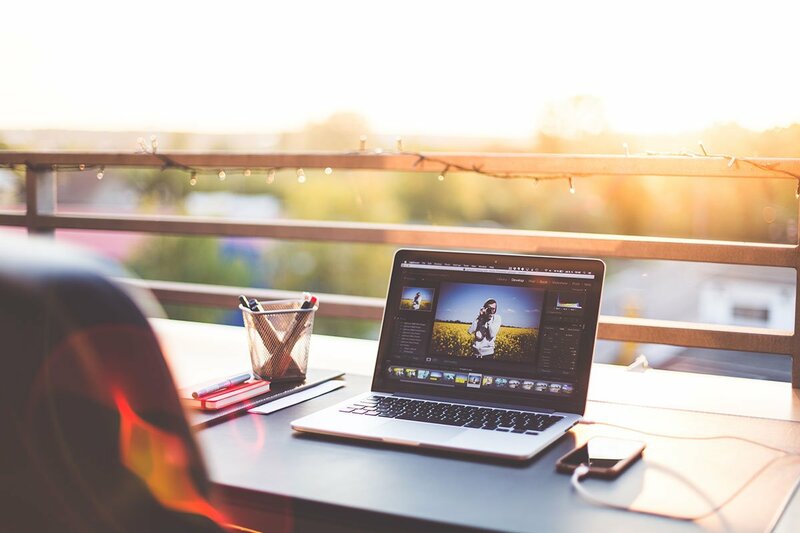 Many businesses see an increase in digital assets like images and videos and are facing issues in handling them. Therefore, it’s great to be able to offer an event where these issues are addressed. 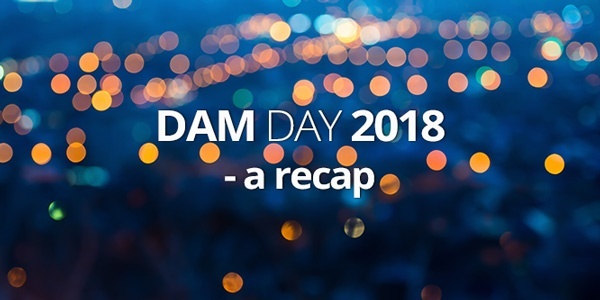 QBank CEO Jonas Bergh kicked of DAM Day 2018, apart from a proper introduction (since it was his first time on the DAM Day stage), he took a look ahead. He addressed what’s trending on the DAM market and how the raise in content is troublesome for organizations without a proper management tool. The increase in usage of rich media is also rapidly growing and video is predicted to account for 80 % of internet traffic by 2020. Jonas also shared how we've during the last year have put a lot of focus on product development and that our customers can expect a range of new features coming up. 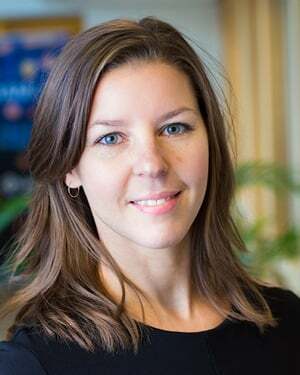 Caroline Liedgren is the Marketing and Communications Manager at Polygon International, who offers a complete range of services within the areas of property damage restoration and temporary climate solutions. Caroline told the DAM Day audience how they initially used QBank to get in control of their digital assets and to manage them across their worldwide markets. They have used QBank for more than just asset management, but also for internal communications and employer branding. Caroline's key take-aways from working with QBank was - promote it internally and help your teams to get started, spend time on metadata and tagging and do inventories to keep track of what assets you have in storage. Our CTO Hootan Soheilzad took the attendees on a QBank history tour that ended up in the roadmap for 2019. We have sure come a long way from 2003 when the first QBank version was launched. Learn more about the roadmap for 2019 in separate blog post. We were very excited and proud to present Rolando Ramirez as one of this year’s speakers. Rolando is Director of Brand Design at one of our long-time customer, Ericsson. Since Ericsson is a well-known company in Sweden he started of by stating that "We don't make phones" which a lot of people seems to believe still, and he got some laughters to. Rolando let us in on Ericsson’s “The quest for easy” and how their rebranding is a part of that. Their rebranding was launched earlier this year and was rewarded with two Red Dot Design Awards. It was interesting to listen to how they have simplified their brand guidelines, e.g. went from twenty-something brand colors to only six. An inspirational boost for everyone working within branding and you got the feeling - if they can do it, so can we. Last but not least – Terje Saervoll who is a Project Manager at Coop Norway, entered stage. Coop Norway is a supplier within the markets of groceries and construction goods, with 1200 stores and online e-commerces. In Terje's presentation he let us in on their QBank journey. He guided us through their RFP (Request for Proposal) process, how their project run from RFP, to implementing and migration, to hitting the “Go live” button. He also showed us how they’ve used QBank as a central hub and integrated about 15 other tools for efficiently handling product related information and digital assets. Terje ended his presentation by giving us a peek of what their QBank looks like. After the presentation he got a lot of questions on their integration and how to practically manage a migration. A great presentation for those in the beginning of a DAM journey. On our Tech Stage we had invited three platform partners, inRiver, Falcon.io and Episerver. On stage they shared not only their own product presentations but also how to connect them to QBank and key take-aways for what’s in it for a Marketing and Communications Departments. Learn more about integration possibilities for inRiver, Falcon.io and Episerver. We'll see you next year, right! We had a great day and if you missed it, we hope to see you next year! To those of you who attended – thank you!